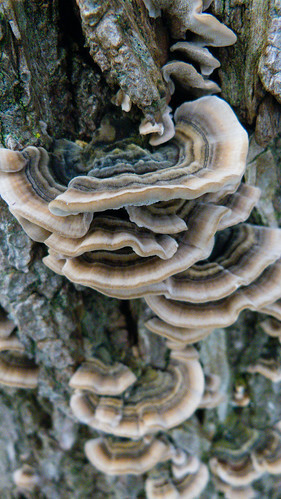 Turkey tail fungus, common on tree trunks and stumps. The varicoloured array of fruiting bodies are the sign that the wood under the bark is suffering from white rot. 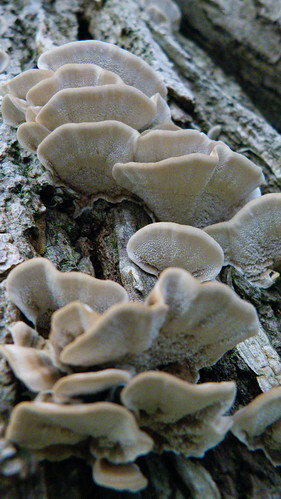 Here a group of the fruiting bodies are seen from above and below.